The field of real estate has experienced very dramatic changes over the past decade. In July of 2004, housing prices were on the rise and the country’s unemployment rate was at 5.5%. A few years later, the Great Recession began, dealing a severe blow to the real estate industry. With the housing market recovering quickly in most areas, it can still be difficult for real estate agents to generate leads and stay competitive in their market. In The Ultimate Guide to Real Estate Lead Generation, you will learn about the three broad categories that almost every real estate lead falls into and how to improve your ability to gain leads in all three categories. You will also get some information about common mistakes made by real estate agents looking to generate leads so that you can troubleshoot your lead generation tactics and find out why they are not working. The Ultimate Guide to Real Estate Lead Generation is a great place for new realtors to get started and seasoned realtors to explore new options for lead generation. To make it easier for you to absorb the strategies presented in The Ultimate Guide to Real Estate Lead Generation, real estate leads will be broken down into three categories: Internet real estate leads, in-person leads, and referral leads. Let’s jump into the Guide by talking about the Internet category of leads; a sector which has seen tremendous increases in recent years. Create a social media account for your real estate business: popular networks for realtors include Facebook and LinkedIn. Once you create your account, join relevant groups such as professional associations in your geographic region or associations for real estate professionals. The two keys to success with social media are personal interaction with current and future clients and providing value through your social media profile. Responding to user comments and sharing helpful real estate articles are two examples of smart ways for a real estate agent to use social media. Work on your website: whether you have created your own website or your real estate company has set one up for you, it is important that your site is working to your benefit. Your real estate website needs to be easy to navigate, concise, and should solve the challenges that your visitors are dealing with. It is also important that you have a hook to keep visitors on your page: Business Insider says that on average, a person stays on a website for less than 60 seconds. Invest in email marketing: a helpful newsletter that does not come out too frequently will be extremely valuable as a way to improve relations with prospects. Try to get a good mix of real estate and non-real estate. If you aren’t good at writing your own emails or newsletters, check out a service like Happy Grasshopper who can do it for you. Create a sign-up form on your website that allows potential clients to get on your mailing list so you have a way of easily reaching out to them. The Harvard Business Review reports that direct mail is about 100 times more expensive than email marketing, even though the two tactics have similar response rates. Real Estate SEO: SEO or Search Engine Optimization, is the task of having your website show up for specific search terms on the major search engines. Although most SEO companies can have success at ranking your website, their are specific SEO companies that specialize specifically in real estate SEO. Although Search Engine Optimization takes a long time to implement, it can be the biggest factor in driving traffic to your real estate website and ultimately generating leads. Video: Regardless of how you feel about it, video is quickly becoming the next major real estate revolution. If you are not doing video yet, you are already behind the 8-ball. Start recording short videos with real estate FAQs, market updates, weekly mortgage information, or video home tours. Remember, you are a real estate agent, not a movie producer. People aren’t expecting your videos to be Hollywood quality, but at least make it professional and decent quality. Open houses are always a good way to get in front of buyers. If you don’t have any listings, ask another agent in your office if they have a home that needs an open house. Collect information on the visitors (a program like OpenHomePro works very well for this) and make sure to follow up with them after the open house. Door knocking is an old-school method that has had a surprising resurgence in effectiveness with the improving market. Provide something of value such as a neighborhood market report or home value report in exchange for their contact information. 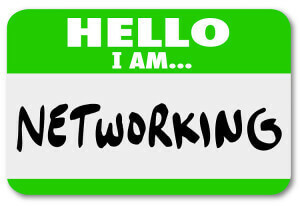 Join a local networking or professional group and be active in it. Make sure that you do some research to find out which ones are best suited for real estate agents. Once you commit to joining a networking group, do your best to attend the meetings and help out other members of the group, which will help you show that you are serious about networking and make people more likely to help you out in return. Attend events in your community: groundbreaking ceremonies, seasonal festivals, and holiday celebrations in your area are all excellent ways to find new real estate leads for your business. Be sure to dress and act appropriately based on the circumstances; if you are going to a laid-back summer picnic, for example, you may want to leave the suit and briefcase at home. Hand out physical media like fliers, business cards, etc. : this is a good strategy for someone new to the real estate field who is looking to build up a book of business. While print marketing can sometimes be cost-prohibitive, if you target the right areas and craft an effective marketing message you can find some success with in-person lead generation through this method. Wearing a name badge has become somewhat cliche, but it works. Wear it everywhere – grocery store, convenience store, shopping, mechanics, everywhere. You may be surprised how many people will approach you asking you about the market. Regardless how you feel about it, video is quickly becoming the next major real estate revolution. While not technically in-person, one of the more controversial ways to get leads is through cold calling. You can start with any page in the phone book, or get a list of For Sale By Owner listings and expired listings. There is much debate in the sales world about cold calling; some deride it as an old school, aggressive tactic that most consumers look down upon. Others claim it is a valuable, consistent way to build business. The only way to decide if cold calling is right for you is to give it a try. Make sure you research your prospects before you pick up the phone so that you are more comfortable with the call. Just ask! Don’t annoy your clients, but once every month or two it is fine to ask them if they know anyone who might need your services. To sweeten the deal, you could offer to take them out to lunch or bring them a gift to reward them for being a client of yours. Client appreciation events: Don’t have time to take all of your past clients out to lunch individually? Sponsor a client appreciation event. It could be a dinner, but it could also be a fun event like a family pool party, painting and wine, or anything. Be creative and be fun, and your clients will remember you and refer their friends and family to you when the time is right. Make your profession known: tell everyone you meet what you do, even if you are only speaking with them in a social context. Of course, don’t be the iconic used care salesman and turn every conversation into real estate, but if the topic comes up, feel free. Often, once a person knows that you are in real estate, they will connect you with someone without any further marketing efforts on your part. Give your clients great service: the easiest way to improve your referral lead generation is by making sure that you provide your clients with outstanding service. Go the extra mile for your clients and they will return the favor by speaking highly about you when they talk to friends and family members who might need a real estate agent, which gives you valuable exposure to people that you might otherwise have not been able to get in front of. In addition to following the steps listed in The Ultimate Guide to Real Estate Lead Generation, there are some things that you should not do to find leads for your business. If you are engaging in any of these tactics, you should stop them immediately before you damage your reputation and hurt your chances at generating good leads for future business. Constantly bringing up your real estate business, even when inappropriate: As we mentioned before, it is great that you are passionate about what you do, but understand that most people don’t care nearly as much about your real estate activities as you do. Not answering your phone: If you call 100 real estate agents, you will get 90 voicemails. Set yourself apart. As simple as this seems, too many real estate agents don’t answer their phones. Of course you are busy and may not be able to answer your phone all the time. If you can’t answer immediately, make sure to return the phone call as soon as possible. According to a study by MIT, returning a phone call in 2 minutes results in a 1000% increase in lead conversion compared to 1 returning the call in an hour. Speed matters. Excessive communication: whether it is through phone calls, emails, or social media posts, it is important to limit the amount of communication that you have with your prospects. Leaving too many voicemails or filling up a prospect’s inbox with marketing messages will not help you generate leads, but it will annoy people and make them less likely to come to you for assistance with their real estate needs. Lack of communication: This is the exact opposite of excessive communication. 90% of home buyers/sellers state that they would use their agent again in the future, yet less than 20% actually do. This is a direct result of lack of communication. If you never communicate with your past, present, and future clients, how are they supposed to remember who you are? This is where a contact relationship manager (CRM) comes in really handy. CRMs such as Follow Up Boss or Contactually can help you keep track of your clients and remind you to follow up with them on a regular (but not excessive) basis. Trying to excessively influence the needs of your prospects: it is true that you probably know more about real estate than the average person in your area, and there is no problem with making gentle suggestions or giving advice when you are prompted or when you feel it is appropriate. However, your job as a real estate agent is to listen to the needs of your clients and then fulfill those needs. Do not try to force prospects to look at a certain type of property or sell their home in a certain type of way. 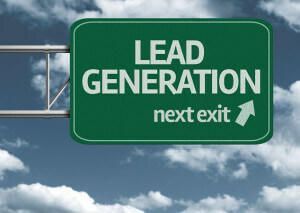 You will only come off as pushy and grating, which is not conducive to finding new real estate leads. Lead Generation Is A Sum Of Many Parts The Ultimate Guide to Real Estate Lead Generation contains some great tips for real estate agents who want to open up their lead generation capabilities, but there are plenty of other methods available for realtors who are creative and willing to try some new things that push them out of their comfort zone. 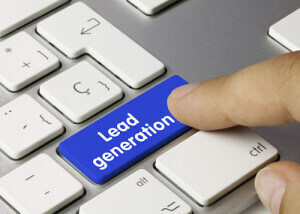 The most successful REALTORS understand that in order to maximize the number of leads they receive, it is important to diversify lead generation efforts and spend time working on gaining leads from a number of sources. The exact amount of time spent on each specific method of lead generation described in the Guide varies depending on what kind of geographic region you work in, how long you have been in business, and what kind of clients you are going after. 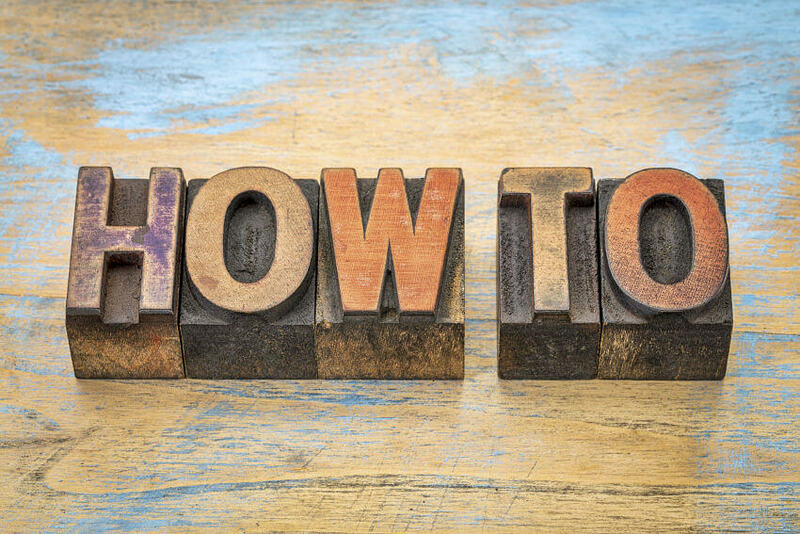 Follow the tips you find in The Ultimate Guide to Real Estate Lead Generation, but also spend some time tweaking your approach to lead generation; find out what works for you and what does not. With persistence, hard work, and a positive attitude, you will soon find yourself with plenty of hot real estate leads you can convert into real estate transactions that will help you sustain your real estate business long into the future. According to a study by MIT, returning a phone call in 2 minutes results in a 1000% increase in lead conversion compared to 1 returning the call in an hour. Speed Matters.